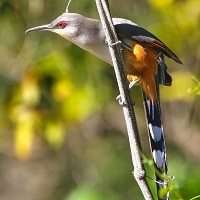 The Journal of Caribbean Ornithology is a peer-reviewed journal covering all aspects of ornithology within the Caribbean region. We welcome manuscripts covering the biology, ecology, behavior, life history, and conservation of Caribbean birds. Submission types include full length manuscripts presenting original research, notes on field observations, review and synthesis papers, and book reviews.